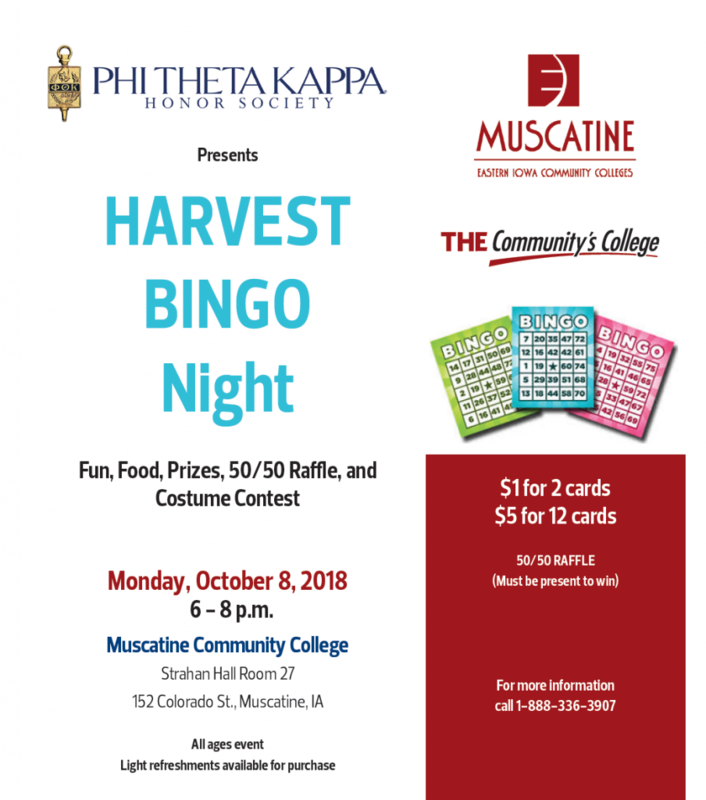 Description: Muscatine Community College invites the community to a Harvest Bingo Night! Fun, food, prizes, 50/50 raffle and a COSTUME CONTEST! $1 for 2 cards; $5 for 12 cards.